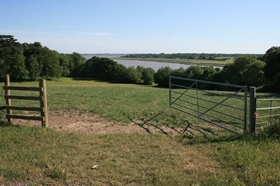 The village lies on the Colchester to Clacton railway line, five miles south-east of Colchester and one mile east of Wivenhoe. Areas of Nature Conservation encompass the ancient woodlands of Crestland and Cockaynes wood. This large compact village of approximately 700 dwellings consisting predominantly of post war development whilst the oldest development lies along Church Road, Elmstead Row and Colchester Road. As a large village, Alresford has a range of local services and facilities available from a varied selection of shops, a church, public house, village hall, recreation ground, doctors surgery and primary school. The parish population over the past forty years has more than trebled in size.